COMMERCIAL AND ADJACENT TO COSTCO. LOCATED ON THE EAST SIDE OF GREEN BAY IN THE VILLAGE OF BELLEVUE. IDEAL RETAIL LOCATION WITH EASY ACCESS TO HIGHWAY 41, 172, AND 43. . . .
RARE OPPORTUNITY! LARGEST ACREAGE AVAILABLE ACROSS FROM SAMS/WAL-MART WITH ACCESS TO RIB MOUNTAIN DR. AND CTY N IN THE RAPIDLY GROWING TOWN OF RIB MOUNTAIN. IDEAL FOR . . . COURTESY: BESAW & ASSOCIATES REALTY, LTD.
44+ ACRES OF PRIME DEVELOPMENT LAND AT THE 26 &AMP; 41 INTERSECTION OF 2 MAJOR HIGHWAYS. ZONED COMMERCIAL NOW BUT RE-ZONING TO ALTERNATE USE WILL BE CONSIDERED. CITY . . .
16.32 ACRES COMMERCIAL LAND. EXCELLENT ACCESS AND HIGHWAY VISIBILITY OFF HWY 41/141 NEAR 41/141 SPLIT. COMMERCIAL DEVELOPMENT PARCEL WITH FRONTAGE ON EAST MASON STREET ADJACENT TO THE GREEN BAY I-43 BUSINESS PARK. OWNER WILL DIVIDE THIS HIGH TRAFFIC FULLY SERVICED . . .
20.85 ACRES COMMERCIAL LAND. EXCELLENT ACCESS AND HIGHWAY VISIBILITY OFF HWY 41/141 NEAR 41/141 SPLIT. PARCELS INCLUDED: 002403401114B &AMP; 002403404841A. 49 ACRES OF POTENTIAL COMMERCIAL DEVELOPMENT JUST MINUTES WEST OF I-41 IN THE TOWN OF FOND DU LAC, WISCONSIN!! LOTS OF SURROUNDING COMMERCIAL BUSINESS ALREADY IN THE . . . FULLY DEVELOPED 6.94 AC READY FOR COMMERCIAL BUILD. SITE PLAN FOR PROPOSED 23,000SF 3 STORY BUILDING WITH PARKING IS AVAILABLE. PROPERTY IS LOCATED IN A TID DISTRICT . . .
37+ ACRES LOCATED IN THE CITY OF WAUPACA TIF DISTRICT #8 IS IDEALLY POSITIONED ALONG HIGHWAY 10 &AMP; THE HIGHWAY 10 BYPASS &AMP; POISED FOR PRIME COMMERCIAL DEVELOPMENT . . .
55 ACRES OF LAND READY FOR DEVELOPMENT ON BUSINESS HWY 64 IN THE CITY OF NEW RICHMOND. PROPERTY INCLUDES 50 COMMERCIAL ACRES, 2 MULTI FAMILY ACRES, AND 1 RESIDENTIAL . . .
151 BY PASS SOUTH CORRIDOR - PRIME DEVELOPMENT AND EXCELLENT VISIBILITY IS FEATURED WITH THIS 26 ACRE SITE AT NW CORNER OF MARTIN ROAD AND HWY 151. CAMELOT DRIVE AND . . . EXCELLENT LOCATION FOR COMMERCIAL RETAIL DEVELOPMENT. HIGHLY VISIBLE FROM HIGHWAY 41 WITH ACCESS VIA THE COLLEGE AVE AND WISCONSIN AVE EXITS. 109 ACREAGE TRANSITIONAL/PRE-DEVELOPMENT LAND ADJACENT TO OCONTO FALLS HIGH SCHOOL &AMP; ELEMENTARY SCHOOL AND 1 BLOCK TO HSHS CLARE MEMORIAL HOSPITAL AND PREVEA OCONTO . . .
PRIME COMMERCIAL PROPERTY ON THE WELL TRAVELED HIGHWAY 47. THIS PROPERTY COULD BE FOR A SPORTS COMPLEX, RESTAURANT, HOTEL, SHOPS, ETC. THE OPTIONS ARE NUMEROUS! 441 IS . . .
COMMERCIAL DEVELOPMENT LAND PER CITY OF APPLETON. SUPERIOR VISIBILITY FROM HIGHWAY 441 WITH EASY ACCESS ONTO HIGHWAY. LOCATED IN SOUTHEAST APPLETON GROWING RETAIL AREAS. . . . THIS ONE OF A KIND PARK LIKE SETTING 36+ ACRE PROPERTY HAS 5 SPRING FED PONDS 4' TO 32' DEEP THAT AREA GREAT FOR FISHING. BRIDGE ACROSS LARGEST POND WITH WATER FOUNTAIN . . . THIS IS THE CURRENT COMBINATION OF PROPERTY OWNED BY MUELLER FAMILY AUTO IN THE CITY OF OSHKOSH (LOT 6&AMP;7 ID'S 1610870800 1610870900 ON RATH LANE. THE PROPERTY WILL . . .
HEART OF LEDGEVIEW. RAPIDLY GROWING AREA. EXCELLENT ACCES TO HWY 172. CORNER OF DICKINSON RD &AMP; ANGEL PATH. 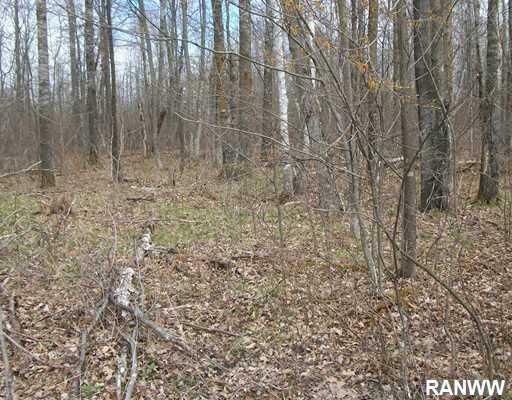 ZONED COMMERCIAL LEDGEVIEW HAS EASEMENT PROPERTY IS . . . ALMOST FIVE ACRES OF COMMERCIAL PROPERTY WITH FRONTAGE ON MAIN STREET &AMP; GUNS ROAD, ADJACENT TO THE WALMART SUPERCENTER. OWNER WILL DIVIDE FOR SALE OF TWO RESIDENCES . . .
PRIME COMMERCIAL TIF DEVELOPMENT LAND LOCATED IN CITY OF WAUPACA ALONG HIGHWAY 10 RIGHT NEXT TO FLEET FARM OFFERING UNLIMITED OPTIONS FOR MAXIMUM TRAFFIC &AMP; EXPOSURE. . . . THIS IDEAL 3 ACRE PARCEL IS READY FOR COMMERCIAL DEVELOPMENT. RAPIDLY GROWING AREA AT THE CORNER OF HWY GV AND OAK RIDGE CIRCLE. PERFECT FOR A GAS STATION, SMALL GROCERY . . .
APPROX 3 ACRES ON HIGH TRAFFIC NEENAH CORRIDOR AT SOUTHERN GATEWAY TO THE CITY. PROPERTY IS TO BE ZONED COMMERCIAL PENDING USAGE DETERMINATION. ALL SERVICES AVAILABLE TO . . . LOOKING FOR THE A PRIME COMMERCIAL LOT TO GROW YOUR BUSINESS?? LOCATED ON THE HIGH TRAFFIC CORNER OF FRENCH RD AND NORTHLAND AVE WITH FRONTAGE ON WIS-441. THE 2.88 AC . . .
PRIME COMMERCIAL LAND WITH HIGH VISIBILITY TO THE HIGHWAY. A TOTAL OF APPROX. 35 ACRES TO PICK AND CHOOSE YOUR ACREAGE TO FIT YOUR COMMERCIAL NEEDS. GREAT LOCATION JUST . . .
COMMERCIAL BUILDING PROPERTY WITH US-29 VISIBILITY WEST OF GREEN BAY VERY ACCESSIBLE. PRESENTLY ZONED AGRICULTURE WITH PARTIAL ZONED COMMERCIAL. LOCATED ON OLD WISCONSIN . . .
COMMERCIAL OPPORTUNITY FOR DEVELOPMENT. PERFECT FOR MORE THAN ONE PROJECT. CAPITALIZE ON THE HIGH VIABILITY OF PIONEER RD WITH AN IN DEMAND STRIP CENTER. BACK LOT IS . . .
6.4 ACRES, (APROX), COMMERCIAL OR RETAIL DEVELOPMENT LAND. HIGHLY VISIBLE LAND ALONG WEST AMERICAN DRIVE AT IRISH ROAD. GOOD CORNER LOCATION. UTILITIES AVAILABLE IN . . .
PRIME COMMERCIAL ACREAGE. AFFORDABLE PROPERTY RIGHT ON HIGHWAY #8 IN SAINT CROIX FALLS. 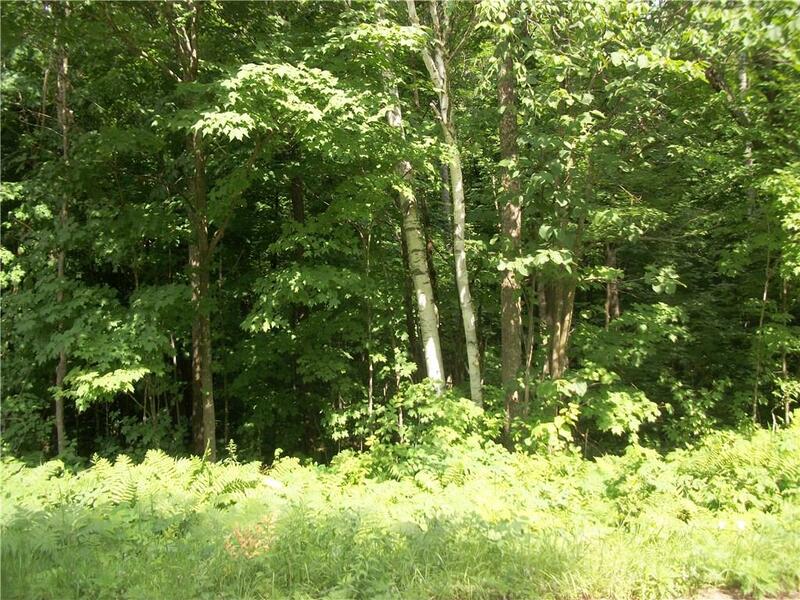 ZONED R3/COMMERCIAL GIVING THIS LAND UNLIMITED POTENTIAL AND POSSIBILITIES. THE . . . WASTE AVAILABLE TO SITE = LATERALS. OUTSTANDING COMMERCIAL SITE - OVER 435' OF FRONTAGE AND 13 PLUS ACRES. ALL UTILITIES ON SITE. SUBSTANTIAL SITE IMPROVEMENTS . . .
4.64 ACRE LAND LOCATED SOUTH FROM HWY 172 (GV) CURRENTLY ZONED AS AGRICULTURE AND WITH POSSIBILITY OF COMMERCIAL DEVELOPMENT. SELLER WILL PAY THE SPECIAL ASSESSMENT. TREMENDOUS POTENTIAL!! HIGH TRAFFIC COMMERCIAL LAND, FORMALLY THE SITE OF GREEN BAY'S HISTORIC "SKY TOP SUPPER CLUB." GREAT VISIBILITY FROM MAIN STREET WITH ADDITIONAL . . .
5.0 ACRES, (APROX), COMMERCIAL OR RETAIL DEVELOPMENT LAND. HIGHLY VISIBLE LAND ALONG WEST AMERICAN DRIVE AT IRISH ROAD. GOOD CORNER LOCATION. UTILITIES AVAILABLE IN . . . IDEAL LOCATION WITH COMMERCIAL POTENTIAL. THIS LARGE 2.5 ACRE LOT (P/ASSR) OFFERS FRONTAGE ON ERIE ROAD AND FUTURE EAST MASON STREET. LOCATED JUST ONE BLOCK EAST OF . . .
COMMERCIAL RAW LAND ACROSS FROM NEW KWIK TRIP OFF HWY 46. BUILD TO SUIT OPTIONS AVAILABLE. ZONED C-2 CENTRAL BUSINESS. EASY ACCESS AND EXCELLENT FRONTAGE IN GROWING . . .
4 ACRE PRIME DEVELOPMENT LOT ON EAST JOHNSON CORRIDOR SERVICES BY UTILITIES, SEWER AND WATER. SITE IS IN PROXIMITY OF NUMEROUS NATIONAL FRANCHISES INCLUDING AURORA . . .
GREAT PIECE OF LAND FOR THE BUILDING OF YOUR FUTURE HOME OR GREAT VISIBILITY FOR COMMERCIAL ASPIRATIONS. 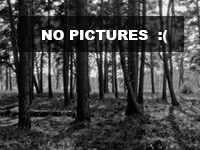 THIS LAND IS CURRENTLY UNDER CULTIVATION AND IS OPEN WITHOUT . . . HIGHLY VISIBLE COMMERCIAL LOT IN NEWLY DEVELOPED AREA. BUILD IT YOURSELF OR SELLER IS WILLING TO BUILD TO YOUR SPECIFICATIONS. PRIME LOCATION. ONE OF SEVERAL COMMERCIAL LOTS LEFT ON THE HWY 54 CORRIDOR. PER SELLER, SIZE OF LOTS ARE FLEXIBLE. ALL LOTS WILL HAVE ACCESS TO DRIVEWAY WHICH COMES OFF . . .
3 ACRES, (APROX), COMMERCIAL OR RETAIL DEVELOPMENT LAND. HIGHLY VISIBLE LAND ALONG WEST AMERICAN DRIVE AT IRISH ROAD. GOOD CORNER LOCATION. UTILITIES AVAILABLE IN . . .
9.87 ACRES IN TOWN OF VANDENBROEK AREA OF RAPID GROWTH. PERFECT FOR RESIDENTIAL DEVELOPMENT OR POTENTIAL FUTURE COMMERCIAL USE WITH REZONING. THERE ARE MANY POSSIBLE . . .
HIGH VISIBILITY FROM HIGHWAY 141.ZONED GENERALLY COMMERCIAL THIS PROPERTY HAS EASY ACCESS FROM HIGHWAY 141 FROM EITHER THE SOUTH OR NORTH BOUND LANES. THIS PROPERTY . 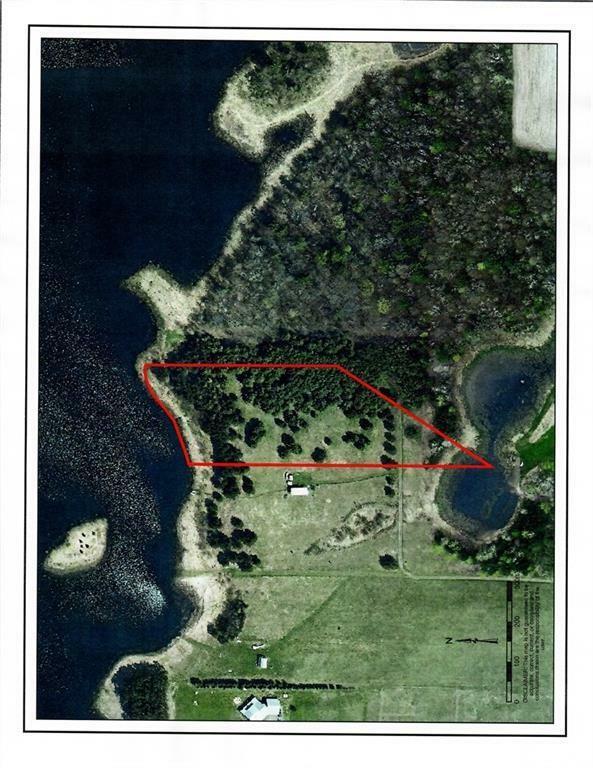 . .
DEVELOPMENT PARCEL - OVER 18 ACRES ZONED COMMERCIAL AND IDEALLY LOCATED ON HWY 29 ON 1 OF 2 ACCESSES IN SHAWANO. BEST BUSINESS/COMMERCIAL LOCATION IN NEW LONDON! 7.53 ACRES DIRECTLY EAST OF WALMART/VAL'S RESTAURANT &AMP; AREA BUSINESSES IN HIGH TRAFFIC COUNT &AMP; PRIME EXPOSURE . . .
18.6 ACRES OF PRIME DEVELOPMENT LAND REDY FOR STORAGE UNIT COMPLEX/RETAIL OR MOST ANY COMMERCIAL DEVELOPMENT. LOCATED AT THE ROUNDABOUR OF HWY 114 &AMP; CO N. THE . 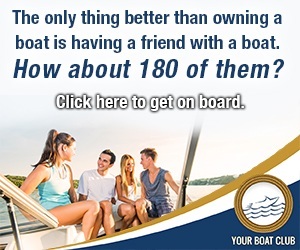 . .
HIGH TRAFFIC VOLUME, GREAT EXPOSURE FOR YOUR BUSINESS! THIS LAND IS AT THE INTERSECTION OF HWY 29 AND HWY 47/55. IF MORE LAND IS NEEDED IT IS AVAILABLE. PROPERTY IS . . .
LARGE COMMERCIAL LOT ON BUSINESS 64 FRONTAGE ROAD. GREAT EXPOSURE DAILY. LOCATION, LOCATION, LOCATION! HWY 57 AND HWY 10 INTERSECTION ACREAGE. HIGH TRAFFIC VOLUME FOR NEW BUSINESS! COMMERCIAL USE POTENTIAL! 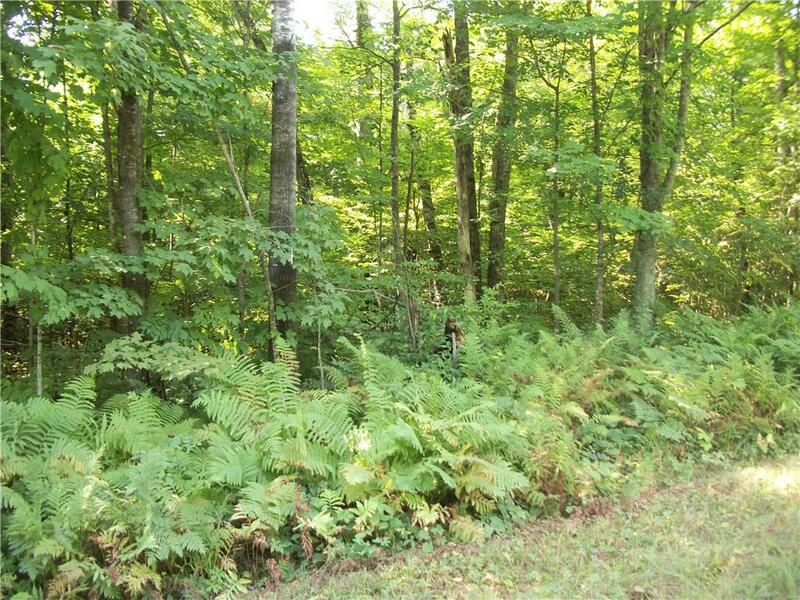 THIS FIFTEEN (15) ACRE PARCEL IS LOCATED ADJACENT TO THE VILLAGE OF WINNECONNE AND HAS DIRECT ACCESS TO ALL NEEDED UTILITIES. THE VILLAGE OF WINNECONNE IS INTERESTED IN . . .
DREAMING OF STARTING YOUR OWN BUSINESS? THIS IS A GREAT SPOT TO BUILD IT! 1.18 ACRES ZONED COMMERCIAL LOCATED IN THE GROWING SE PART OF TOWN. UTILITIES AVAILABLE EITHER . . .
4.1 ACRES OF COMMERCIAL LAND FOR DEVELOPMENT IN THIS RAPIDLY GROWING AREA. SEWER AND WATER AVAILABLE AT SITE AND VISIBLE FROM HIGHWAY. ADJACENT TO A 70+ LOT SUBDIVISION . . .
ONE OF THE FEW AVAILABLE PRIME COMMERCIAL LOCATIONS LOCATED ON THE BUSY HWY 54 CORRIDOR IN WAUPACA. SEVERAL LOTS ARE AVAILABLE AND THERE IS FLEXIBILITY IN THE LOTS . . . SPECTACULAR AREA FOR COMMERCIAL DEVELOPMENT, ENDLESS POSSIBILITIES. CLOSE TO SCHOOLS AND RETAIL AREAS. 1/2 ACRE COMMERCIAL OUT-LOT (P/PLAT MAP), CONVENIENTLY LOCATED ALONG GREEN BAYS EASTERN CORRIDOR OF HURON ROAD. EASY ACCESS TO I-43, HWY 54 &AMP; HWY 29, AND CLOSE . . .
PRIME EASTSIDE COMMERCIAL SITE FOR SALE. SOUTH 50' TO BE USED US RETENTION POND PER CITY. SEWER &AMP; WATER, ELECTRIC, PHONE, GAS ALL AVAILABLE. COMBINATION OF OBVIOUS FORMER AG LAND WITH HUNTING ASSURANCE ALSO OBVIOUS. MOSTLY LEVEL. MOSTLY DRIVING OR WALKING TRAILS ABOUND. TAKE A KNEE AT A TREE STAND OR A NAP. . . .
PRIME COMMERCIAL PROPERTY JUST OFF OF HIGH TRAFFIC HWY 441 AND APPLETON RD, MENASHA. 2.38 ACRE SITE FOR MULTIPLE DEVELOPMENT OPPORTUNITIES. LARGE COMMERCIAL LOT ZONED 1ST BUSINESS. HIGH TRAFFIC COUNT AND CLOSE TO NEW VA HOSPITAL AND MANY OTHER NEW COMMERCIAL PROPERTIES LIKE FESTIVAL FOODS. BE PART OF A GROWING COMMUNITY. 1.269 ACRE LOT IN THE VILLAGE OF PULASKI RIGHT OFF THE MAIN THOROUGHFARE AND ZONED B-2/COMMERCIAL FOR YOUR BUSINESS. SEE LIST OF APPROVED . . . ENDLESS OPPORTUNITY FOR YOUR COMMERCIAL BUSINESS. 1.3 ACRE BUILDING SITE ON THE MAIN EAST/WEST CORRIDOR THROUGH THE CITY OF OMRO. LARGE LOT WITH ROOM FOR A BUILDING, . . . THIS 16.77 ACRE PARCEL WAS ONCE A CHRISTMAS TREE FARM. IT'S NOW IN TID#1 IN THE VILLAGE OF PLAINFIELD. IF BOUGHT TO DEVELOP A BUSINESS BUYER COULD TAKE ADVANTAGE OF . . .
Wisconsin is a state of diverse landscapes. To the south, there are countless acres of gorgeous farmlands and commercial property for industrial ventures. In the northern part of the state, stately forests dominate the terrain, making it an ideal spot for lumber and paper mills or eco-tourism destinations. Vibrant cities such as Milwaukee, Racine, Madison and Green Bay offer thriving cultural and economic opportunities. Other major metropolitan areas such as Chicago, Des Moines and Indianapolis are all easily accessible from Wisconsin. Bordering on the great lakes, Wisconsin provides easy access to thoroughfares of modern transportation. Not to mention, Wisconsin is a beautiful state that is a very desirable place for your prospective employees to live and work. In short, if you have ever considered opening a business, or expanding an already existing business, Wisconsin may be the ideal location for you! Buying commercial property is certainly not your only option. 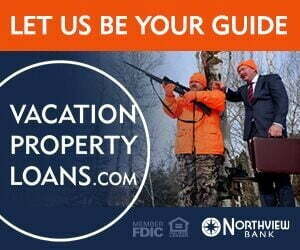 There are opportunities to lease pre-existing property and facilities throughout the state of Wisconsin. Before you decide to go with leasing or buying, it is important to sit down with professionals to analyze the variety of options. There are definite advantages to leasing property instead of buying. Specifically, leasing property can help you mitigate the risks associated with falling property values. It can also help protect you if your business does not prove to be as profitable as you might hope. For example, if you buy property and your business fails, you may be left with a parcel of land you need to sell or auction quickly. If the market is in a slump, unloading the property quickly may prove difficult. Also, neighborhoods come and go. What might be an attractive area today may not be so attractive tomorrow, leading to decreased value of the land itself. With leasing, you don't have to worry so much about shifting neighborhood desirability. Furthermore, when you buy commercial land, this can tie up a good portion of your business's cash reserves, leaving a lower amount to address unforeseen expenses that may come down the road. While it may be easy to sell a parcel of commercial real estate in booming economic times, it may be difficult to get your money back out of the property if real estate is not selling as quickly in the future. Buying, on the other hand, can help protect you against future rent increases. It can also be a sound investment in the event that property values continue to increase. Many times, the value of commercial land appreciates, creating a greater return for your company when you decide to sell. Sitting down with a business evaluation expert, a commercial real estate expert and a tax accountant can help you analyze the positive and negative aspects of buying vs. leasing commercial real estate. These individuals can help you analyze the current real estate market while simultaneously examining the future prospects for your company's revenue. There may also be tax benefits associated with buying property, so be sure to discuss these with your accountant and/or tax expert. If your business does not use the whole of the property, you may also be able to generate extra revenue by leasing a portion of the property out to a tenant. If you decide to go this direction, it is important to realize that this may not be the most secure form of cash flow as tenants may breach the lease agreement and fail to pay you rent as agreed upon. Buying also allows you the option of building your business facility from the ground up so that you can be sure the facility will meet all of your business's needs. If you are looking at venturing into the world of commercial real estate, having a team of knowledgeable advisors may be the single most important key to your success. Yes, trusted advice may be expensive; however, chances are it will save you a headache or two in the future. Business and tax accountants can advise you how to best structure your real estate venture. Lawyers can provide you with sound contracts and documents to protect your interests. Commercial real estate experts can help you to identify and secure the perfect piece of commercial land for your project. A lending agent at a bank can help provide you with the best financing options for your particular situation. If you intend to build your business facility, make sure that you consult with reputable, well-known contractors. No one can be an expert in everything. Having these individuals to advise and assist you along the way will help give you peace of mind that your transaction is the right one for you and your business. As previously mentioned, a commercial real estate expert can help you identify the perfect parcel for your business operations. Providing advice on everything from the topography of the land to the zoning restrictions affecting a particular property, your commercial land representative will be one of your key advisors through this process. Make sure you and your expert carefully analyze the location of prospective property. Does it provide you with the access you need to your customers, and vice versa? Does the terrain of the property meet your needs for building? Does the property provide access to government infrastructure such as roads, water lines, sewers and electric lines? Are there environmental regulations you need to comply with affecting the parcel of property? What sort of re-sale value might you anticipate for the property if your business venture there does not succeed as well as you predict? Are there portions of the property you might look into leasing to tenants in the future? These are but a few of the important considerations you should take a look at when embarking on such a project. As you decide to invest in Wisconsin commercial land, there are a myriad of considerations to be made. This article merely provides an overview of some of these considerations and should not be substituted for obtaining the advice of trusted professionals in your target market. Employing such trusted professionals will be critical to your business's future success in commercial land. 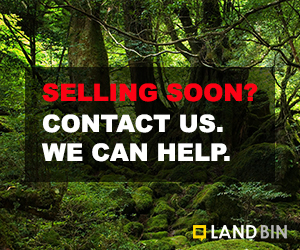 If you are ready to begin the process of investing in commercial land in Wisconsin, contact one of the agents of LandBin.com to help you on your journey.